If you are near the Louisville, Kentucky area this weekend (November 12-24, 2010) consider visiting the KYANA Geological Society Mineral, Gem, & Fossil Show. Pictures shown in this post are from the 2009 event. 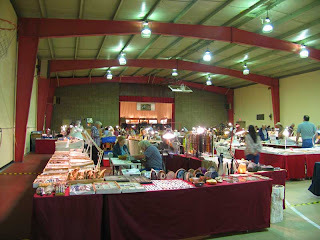 It is held at a church's gym with a number of dealers selling polished rocks, jewelry, minerals, fossils, and toys. Admission is free as is parking. 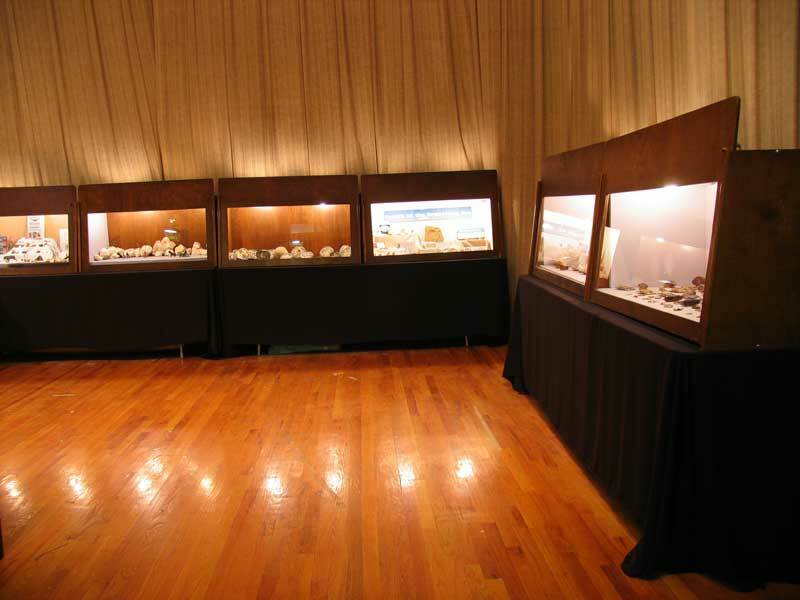 The featured exhibit will be minerals from the Ben E. Clement Mineral Museum of Marion, Kentucky. 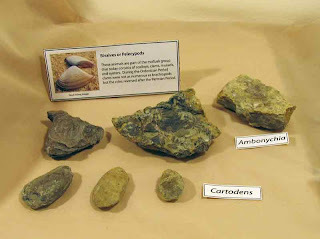 I am a member of KYANA Geological Society and also Cincinnati's Dry Dredgers though I do not attend meetings very often at either group. 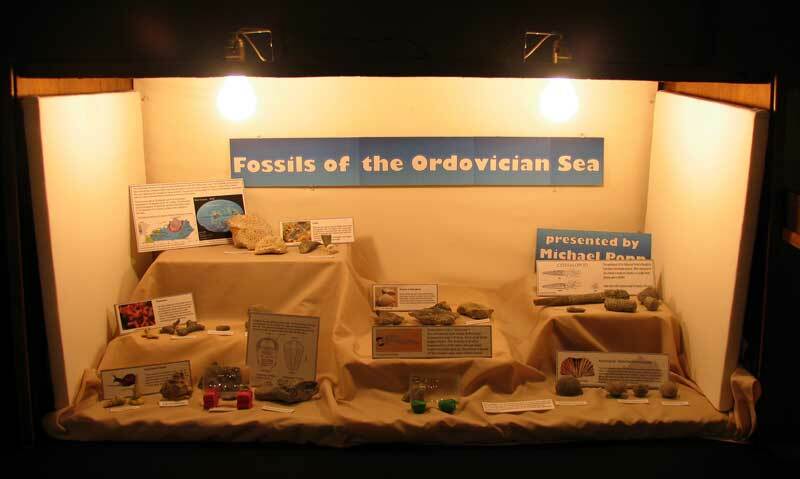 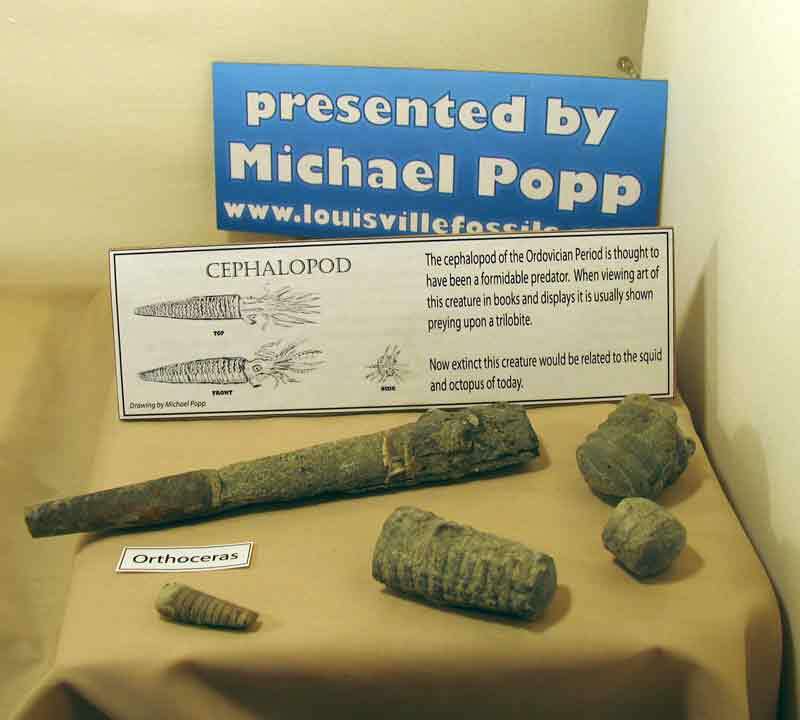 Last year, I created an Ordovician fossil display for the show. 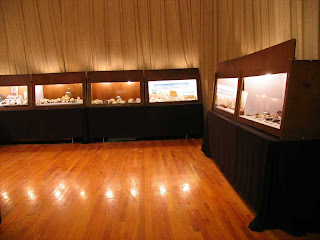 It was designed for the general public being the main audience. 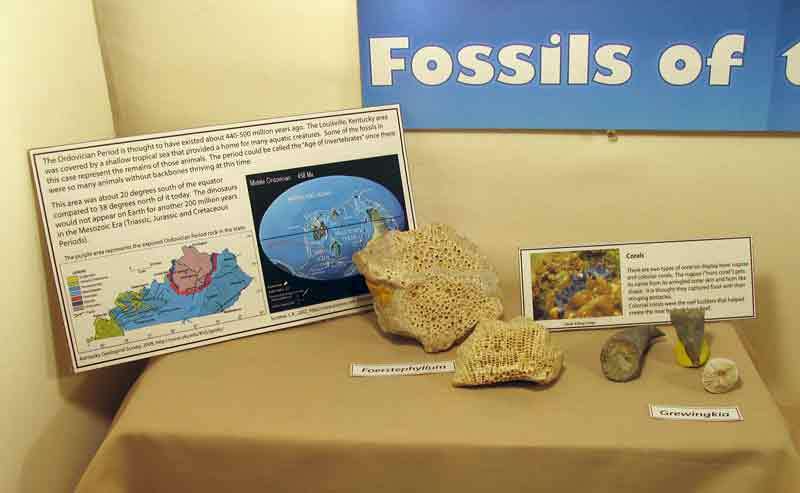 In retrospect, if I designed a display again I would obtain the case to assemble the fossils in ahead of time. 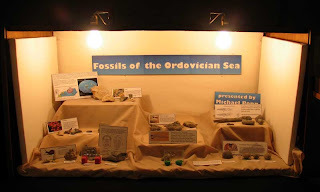 Improvements would be: to attach the display cards at better viewing angles, attach cloth to stands so there are no wrinkles, and use fluorescent lights instead incandescent.